The NHRA Competition Committee has announced an adjustment to the maximum overdrive limit in blown alcohol dragster combinations. Effective immediately, the blower overdrive limit will be increased to 2.28 for all screw-type supercharger entries. (9-7-2006) - The NHRA Competition Committee has announced an adjustment to the maximum overdrive limit in blown alcohol dragster combinations. Effective immediately, the blower overdrive limit will be increased to 2.28 for all screw-type supercharger entries. (9-7-2006) - The AMS Pro Mod series recently posted an announcement on AMSProMods.com, that if a sponsor agreement is not made by the Las Vegas race, Dave Wood and AMS will back out. This is not a red flag sent out by AMS or NHRA, just a communication with teams and fans, and the AMS series wanted everyone to know the whole story. According to Matthew Brammer, series administrator, “I think it’s important, and it’s been important all year, that we communicate and know what’s going on. People have to plan, racers have to plan, and teams have to got to do all those things, and that’s critical. I made a commitment at the beginning of the season to let people know what’s going on. Dave and I talked, and we both agreed that we have to set a timeline with this; we have to draw a line in the sand. We’re not going to let it happen like it did last year, not February, January, okay guys now we have a series. So, what we said and what’s on the AMS Pro Mod site, is Dave has said if we don’t have the funding signed, sealed, and delivered by Las Vegas, which is our last race, he’s going to pull his support of the series. (9-7-2006) - The last few weeks have been rather mind boggling for Bill Bader, Jr., the president of Norwalk Raceway Park. About 48 hours after the belated conclusion of the last-ever IHRA World Nationals at NRP the track and NHRA jointly announced it would switch sanction and host a new POWERade Series event beginning next June 28th. We caught up with him in the pits at O’Reilly Raceway Park for a few questions. COMPPLUS: What’s been the reaction of the people you’ve bumped into here t the news about your track? BADER: The reaction has been overwhelmingly positive. I was not on this property more than two minutes before a father and son came up to me and told me they attend the Night Under Fire show every year and also go to a variety of NHRA POWERade races. They just couldn’t believe the big show was coming to Norwalk Raceway Park. I’ve probably had 12 to 15 people approach me since then, and I’m embarrassed to tell you that I didn’t know a lot of them, but from spectators, sponsors, sportsman drivers, the reaction has been extraordinary. COMPPLUS: Are you trying to make contact with sponsors and racers? BADER: We haven’ been in years, so I thought I’d take my lovely wife of 17 years on a little vacation, and I brought her to the biggest drag race in the world! We’re also going to do an interview with ESPN, and we’ve also got some print interviews scheduled. I’m really just trying to decompress afte a long couple of weeks. COMPPLUS: How was the World Nationals from an aesthetic and financial standpoint? (9-7-2006) – Australian-born NHRA AMS Pro Modified driver Troy Critchley enjoyed one of his finest outings of the season with a quarter-final finish during the NHRA U.S. Nationals in Indianapolis. He also did it in rapid fashion by establishing the quickest-ever mile per hour in the history of the series with a 239.40 trap speed behind the wheel of the AMS Staff Leasing-sponsored 1970 Barracuda. Critchley’s day could have gone even further had it not have been for parts attrition and an inexpensive part at that. Just to think, a $5 part was the only thing that was able to negate a .42 starting line advantage over Tony Pontieri. Yes, you read that correctly – over four tenths of a second. Call Critchley a speed demon or call him what you want, but after Indy you can call him the fastest Pro Modified racer in the United States. It’s a combination that he wants to make a household name – power by Critchley and tune by Moon. Howard Moon, the veteran tuner for the AMS Rage team also directed Critchley’s teammate Josh Hernandez to the winner’s circle. Last year they combined for a top qualifying position and a runner-up finish. Moon definitely knows Indy. The interesting part of the scenario is if Critchley could have secured the victory, he would have faced Hernandez in the semi-finals. “It would have been a race at Indy that people would have talked about for a long time,” Critchley said. Race fans were already talking after Critchley entered eliminations as the 10th quickest qualifier with a 6.140, 237.38 best. In the opening round, Critchley fired his first major volley with a victory over Chip King with his best run of the weekend. He nailed the timers with a 6.077 at over 239 miles per hour. During Monday’s quarter-final race against Pontieri, Critchley did have a monster starting line advantage because of two factors. Pontieri was extremely tardy and Critchley (.028 reaction time) was extremely quick. Less than four seconds in the run, Critchley’s machine stopped pulling and he could only watch helplessly as his weekend ended. (9-7-2006) - Flatout Group has completed a merger to form Flatout Group, LLC. 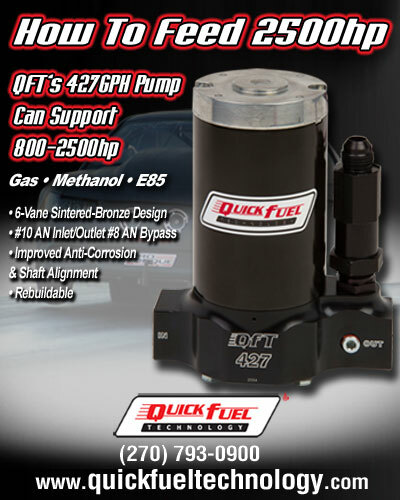 This will allow for the continued expansion of the Flatout Gasket product line into the traditional and further into performance automotive arenas. Established in 1998, Flatout Group has been manufacturing Performance, Original Equipment and Aftermarket automotive gaskets since 2000 and is also known for their quality metal fabrication business. “With engines evolving, we saw the importance of enhancing our capabilities moving towards rubber molded/carrier based gaskets,” said Mark Adelizzi, President of Flatout Group.“Vertical integration and quality is just the beginning of what our additional resources will bring to us, Adelizzi added. 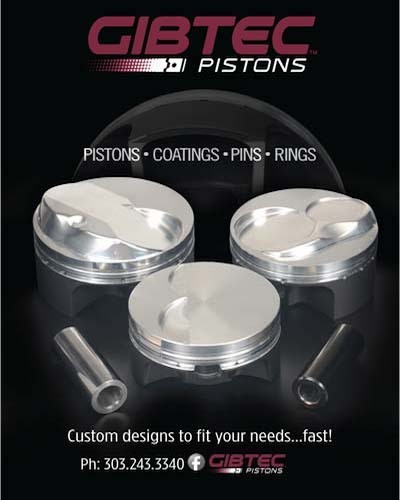 “With our one-stop shopping approach, Flatout Gaskets will now be able to offer the aftermarket consumer these benefits." Total in-house product/mold design, development and fabrication for steel or plastic carrier based, rubber molded gaskets. Total in-house manufacturing from all aspects of design to production. Material technology options, offering emerging technologies that are all leading edge. LIM & heat cured silicone rubber, FKM, nitrile and plastic molding. behind the wheel and into the tower at Bristol Dragway next April 13-15.
receive their run cards at the discounted price of $675. What’s more? plans to give away at least $15,000 in prizes for all types of rewards. (9-6-2006) – On Monday, and prior to the start of eliminations at the Mac Tools U.S. Nationals, NHRA was surprised and disappointed to learn that Ray Alley, director of Top Fuel and Funny Car racing, was leaving the organization to work with Kenny Bernstein and his newly-formed Funny Car team for the 2007 season. We are disappointed to see Ray Alley leave given the contribution he has made during his nearly seven-year tenure at NHRA. Under the circumstances however, and given the nature of his position, we will not be able to continue to utilize Ray’s services through the remainder of the year. Therefore, we have no choice but to relieve him of his duties effective immediately. A search for his replacement has begun. (9-6-2006) - With the 2006 eMax IHRA Drag Racing Series schedule entering the home stretch, Pro Modified competitor Alan Pittman feels that the knowledge and experience he and his team have gained this year will see them through to a solid, top-ten finish. Currently sitting in the No. 10 spot, Pittman has lived through every possible scenario, good and bad, since he and team owner Mel Bush brought their distinctive supercharged 1962 Chevrolet “bubble top” to the Pro Mod wars at the beginning of the season. He knew it would happen, expected it to happen, in fact, but it was still hard to deal with at times. Because of these “small things,” Pittman was unable to sustain any momentum the victory in Grand Bend had given him as his South Carolina-based team failed to qualify at the next two events. It was a humbling experience, and a real wake-up call to the veteran racer. For Pittman, who returned to the Pro Mod ranks after taking a couple of years off to establish his AP Race Cars business, it has been a mostly positive experience. In spite of the lows he encountered along the way, Pittman has qualified well, won a race, and posted career-best performance numbers. On top of that, he brought a cool and unique hot rod to a class that has made its reputation over the years based on the variety of body styles and engine combinations utilized. The more off-the-wall the better, and Pittman’s Chevy fills the bill on all accounts. With just four more races left on the IHRA schedule, beginning with this weekend’s Amalie Oil North American Nationals, Pittman wants to prove to himself, and to the racing community, that he’s been able to pull his program back together. This weekend’s race is the Amalie Oil North American Nationals presented by New England Dodge Dealers, September 8 – 10, 2006, New England Dragway, Epping, New Hampshire. (9-6-2006) – While supplies last, a special limited edition set of 1:64 scale Hot Wheels® models of Cruz and Tony Pedregon's NHRA Nitro Funny Cars are now available exclusively at Advance Auto Parts stores. These cars will be packaged in a special Hot Wheels® 2-Pack Collector Car Set. "I know that NHRA fans are also avid Hot Wheels collectors and that they will be as excited as we are to be able to buy these limited edition cars at Advance Auto Parts stores," stated Tony Pedregon. This special Hot Wheels® two-car set includes 1:64 scale models of the Advance Auto Parts Nitro Funny Car and the Q Power Nitro Funny Car that Cruz and Tony drive, respectively, in the POWERade Drag Racing Series of the NHRA. Today, more than 15 million boys ages 5-15 are avid collectors, and the average boy collector owns more than 41 Hot Wheels® cars. In fact, somewhere in the world two Hot Wheels® cars are sold every second of the day! The Hot Wheels® brand continues to lead the industry with fresh, innovative products relevant to the market. (9-6-2006) - It was down to the wire for the points leaders in the 2006 Mega Bucks series, a six-race series split between Huntsville Dragway and Memphis Motorsports Park, but Scotty Richardson of Goodlettsville, Tennessee, arguably one of the best bracket racers in the country, won Pro brackets on Saturday, September 2, locking up the championship and taking home the big bucks. His final-round opponent was a racer equally as famous as he, Johnny Labbous Sr., also of Goodlettsville, in his dragster. Richardson entered three cars at the Mega Bucks race, and won in his all-black Chevy II. Richardson was racing with support from his mom Mary, plus crew chief Brandon Jarrell, and Amanda Betts. His win was worth $7,500, and he also won a new Danny Nelson/Racecraft Chassis dragster for his Mega Bucks points lead over Brian Robinson of Mississippi, who was tied with Richardson until Scotty won the fourth round. For his points finish, though, Robinson won a free entry into the BTE Million Dollar Race, to be held on September 13-17 at Memphis Motorsports Park. On Sunday, a racer who had retired two years earlier to take care of the family car business, Ron Lane of Hixson, Tennessee, won the $10,000 first prize in Pro, defeating yet another good racer, Kenny Joe Dixon of Calhoun, Georgia. Both racers were shoeing dragsters. Lane said afterwards that “maybe I oughta quit for another two years and then come back again.” He also won a special 32-car shootout on Saturday for an entry into the BTE Million, and Dixon won the same thing in Sunday’s shootout race. In Saturday’s Footbrake action, Brad Ford of Gardendale, Alabama, a racer who had amassed a 20-round lead over his opponents in the Huntsville series, won in his Nova over Adam Davis of Cullman, Alabama, who also raced a Nova. Like Lane and Dixon in Pro, Ford was also a shootout winner --- he won an entry into the inaugural $100,000 Halloween Classic for all Footbrake cars, to be held at Montgomery Motorsports Park. (9-6-2006) - Drag racing fans have just a few days left to get a unique piece of memorabilia and help a very worthy cause at the same time. Earlier this year at the Pontiac Performance NHRA Nationals in Columbus, Ohio, Carrier Boyz Racing Top Fuel driver Cory McClenathan piloted a special-edition, one-race-only Jeg's Mail Order dragster. The fan favorite even took the time to have a Jeg's firesuit and helmet made for the occasion, which he's now autographed and put up for auction on eBay with 100-percent of the proceeds from the sale of the items going directly to Jeg's "Racing for Cancer Research" Foundation. There are only three days left in the auction so interested parties should log onto http://stores.ebay.com/Jegs and follow the appropriate links to make their bids. IS THIS A SIGN OF THINGS TO COME? MORE ATLANTA MOTOR SPEEDWAY DRAGS? (9-6-2006) - The final round of Atlanta Motor Speedway’s Friday Night Drags Series is set for this Friday, Sept. 8 and a number of drag motorcycles are on the card for the final drag event of 2006. The high speed motorcycles will be demonstrating the incredible spectacle of professional drag bike racing with a combination of street, top gas and pro-mod bikes. The fastest class is expected to travel the entire AMS eighth-mile drag strip in under five seconds. The evening will carry a motorcycle theme as a variety of stunts will be performed by two local super bike acrobats. The professional stuntmen will dazzle the crowd with wheelies, front wheel stands and more. Fans will also have the opportunity to visit the “Show-N-Shine” arena to see the many restored and original vehicles from years past. Several NASCAR NEXTEL Cup Series replica stock cars will be on display Friday night as the Richard Petty Driving Experience and Charity Laps join the family fun. All the entries will once again be invited to participate in the ‘speedway cruise’ during the break in drag racing action. Friday Night Drags divisions include the Domestic, Import, Trucks, Pro Street and Pro classes. The Show-N-Shine offers Stock Vintage, Stock Current, Street Rod, Hot Rod, Modern, Current and Motorcycle classes. Winners in all classes receive trophies and plaques while second and third place winners at the “Show-N-Shine” also receive a commemorative plaque. Infield gates open this Friday night at 6:00 p.m. for the competitors with grandstand gates opening at 6:30 p.m. Drag practice runs are slated for 7:00 p.m. The ‘speedway cruise’ and motorcycle stunt show will take place at 9:00 p.m. with drag elimination rounds to start at 9:20 p.m. Spectator tickets are $7 with children five and under admitted for free. Competitor entry into the drags or the “Show-N-Shine” is $20 and includes the admission ticket for the driver. For additional information, contact the Atlanta Motor Speedway at 770-946-4211 or at www.atlantamotorspeedway.com. (9-6-2006) - World War IV is coming to Montgomery Motorsports Park in October! The battle royale, presented by Comp Cams, TCI and George Howard Racing, will be played out over the October 14-15 weekend and will feature nothing but heads-up, Pro tree racing. Classes that will be contested include Outlaw 10.5, Outlaw 4.70, Outlaw 5.30, Limited Street, Real Street and 6.0 and 7.0-indexed classes. In addition to big money paid out to each winner, runner-up and semi- and quarter-final finishers, there will be a special Saturday night $5,000 winner-take-all shootout for the quickest 10.5 cars from the Northeast, Southeast, Northwest and Southwest divisions. 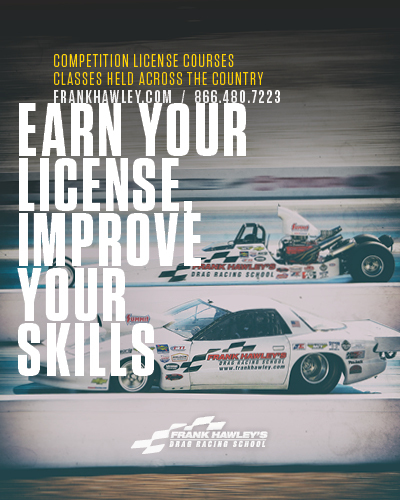 For more info, contact georgehowardracing.com or telephone 205-251-7311. (9-5-2006) - Patti Barrett, who along with husband Bill Barrett sponsors Scott Weis' dragster, shared with Competition Plus an explanation of what caused the explosion with the car near the starting line this past Sunday during the final Top Fuel qualifying session at Indianapolis. Bottom-end specialist Steve Prince and cylinder-head builder Frank Mazzarrelli suffered minor injuries and were treated and released by track emergency medical personnel. She said the team since has learned what likely happened to the Barrett Enterprises Dragster. "I read the notes about Scott's explosion," Patti Barrett said after conferring with team members, "and we all have decided that it would be best to set the record straight. "We did, in fact, back the motor down (wish it would have been that simple) as we always do. We did everything right. We are certain now, after much investigation, that there were no leaks, et c.," she said. "After the incident, other crew chiefs came to our pit and told us that there is a ramp on the set-back blower manifold that holds fuel and ultimately drains into the No. 5 cylinder. They all told us the procedures that they have now begun using after they, too, had explosions. We will be begin doing the same thing in order to eliminate the left-over fuel," Mrs. Barrett said. "It is a blessing that no one was seriously injured. We wish that someone had shared that information prior to the devastation." (9-5-2006) - Torco’s Competitionplus.com has learned that Ray Alley informed NHRA president Tom Compton of his decision to leave to join Kenny Bernstein’s Monster Funny Car team during the Indy weekend. Compton was reportedly stunned to hear the news, but wished Alley well, and also told him there’d be a job waiting if he decided at the end of a year to return. IIn preparation for next year, Alley, Bernstein and current crew chief Tim Richards discussed a list of possible assistants for Alley, finally narrowing their choices down to five. Reportedly, all five turned them down, either because they were locked into long term agreements with their teams, or were happy where they are. The two leading candidates remaining are Todd Okuhara, crew chief for the Whit Bazemore-driven Matco Tools Dodge, and Marc Denner, crewchief for the Phil Burkhart-driven CSK team car owned by the Worshams. Our sources indicate there was to be a meeting with Okuhara on Monday evening following final eliminations at Indy, with Denner set to discuss things with Bernstein on Tuesday. (9-5-2006) - Ron Krisher suffered his second fiery crash in as many seasons during the second round of eliminations. He was reported to be alert, conscious, mobile and responding to commands after his Cobalt went out of control, veered away from the right lane and impacted the left guardwall. Krisher was extracted by NHRA Safety Safari members and was airlifted to Methodist Hospital in Indianapolis for evaluation as a precaution. NHRA emergency services officials reported that Krisher had only a minor burn to his left elbow and there were no other visible injuries. 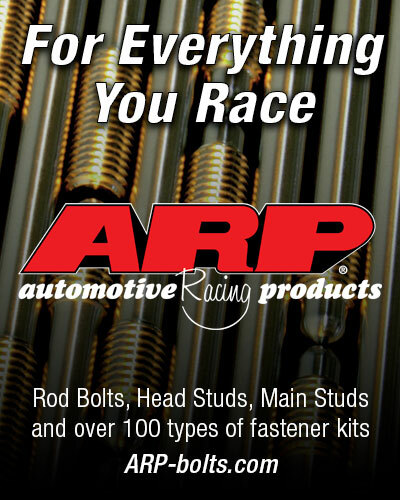 (9-5-2006) - Roy Johnson, Allen’s father, told Competitionplus.com that he’s been told (by Mopar, we assume) to have an engine ready for Richie Stevens’ use at the Maple Grove race. This would tend to confirm the rumors that Stevens will be “traded” to the Johnson team immediately following the U.S. Nationals. At this juncture it may be pure speculation, but it would appear that Schumacher’s relationship with Daimler-Chrysler is becoming increasingly strained. (9-5-2006) - Numerous sources report that GM drag racing honcho Fred Simmonds, one of the most highly respected and well-liked corporate representatives active on the quarter mile, is less than pleased with the move of the Pontiac Nationals from Columbus to Norwalk Raceway Park. Simmonds was reportedly informed of the move via a voice mail on the day of the announcement, and if true, this would be far from the first instance in which NHRA has handled a delicate matter in this manner. The rumor mill is churning with some wild ones on this subject, including the possibility of GM asking for the return of their loaner vehicles, which would include all of the GMC trucks used for the Safety Safari. (9-5-2006) - After having interviewed 35 team owners, drivers, tuners and sponsors for their views of the new points system, here’s the bottom line: The majority of those polled aren’t against change per se, and most aren’t even opposed to the system of reducing the championship contenders to a field of eight in each professional category beginning with next year’s U.S. Nationals. However, even drivers touted by NHRA as being totally in favor of the new plan turn out not to be so favorable towards it when out of earshot of association officials. Even POWERade champion Gary Scelzi, said to be totally behind it, turns out to have misgivings about the Final Four cut-down with just two races remaining. Virtually everyone else we spoke with was adamantly opposed to that portion of the plan. The other area in which there was total unanimity was the racer’s ire at not being asked for their input before the decision was set in stone and the announcement made. More evidence of that could have been found in Friday’s PRO meeting, where a show of hands of those present, a considerably larger number than we managed to poll personally, indicated total opposition to the cut to just four championship contenders with two races remaining. 1. Doug Kalitta, 1,306; 2. Tony Schumacher, 1,252; 3. Brandon Bernstein, 1,210; 4. Melanie Troxel, 1,166; 5. David Grubnic, 1,019; 6. Rod Fuller, 1,012; 7. Larry Dixon, 968; 8. Morgan Lucas, 862; 9. Hillary Will, 834; 10. Cory McClenathan, 815. 1. Ron Capps, 1,300; 2. John Force, 1,281; 3. Robert Hight, 1,141; 4. Tony Pedregon, 1,112; 5. Eric Medlen, 1,069; 6. Tommy Johnson Jr., 1,008; 7. Gary Scelzi, 1,001; 8. Whit Bazemore, 956; 9. Cruz Pedregon, 759; 10. Phil Burkart, 756. 1. Jason Line, 1,301; 2. Greg Anderson, 1,242; 3. Dave Connolly, 1,166; 4. Kurt Johnson, 1,005; 5. Allen Johnson, 987; 6. Mike Edwards, 960; 7. Jim Yates, 938; 8. V. Gaines, 875; 9. Larry Morgan, 846; 10. Greg Stanfield, 798. 1. Andrew Hines, 907; 2. Antron Brown, 899; 3. Angelle Sampey, 809; 4. Chip Ellis, 794; 5. Matt Smith, 697; 6. Karen Stoffer, 637; 7. Ryan Schnitz, 634; 8. Tom Bradford, 568; 9. Matt Guidera, 525; 10. Geno Scali, 488. (9-5-2006) - The familiar sound of slot machines and high dollar card tables was replaced by the sounds of banging hammers and nail guns as Paul Athey and Mohegan Sun Racing welcomed a new sponsor to their operation. Sterling Homes is proud to announce their backing of the Mohegan Sun Team for the remainder of the 2006 season and the 2007 campaign as well. Russ Busa the owner of Sterling Homes attended a drag race at New England Dragway as a guest of the Mohegan Sun Casino, from the experience he had with the team at the race track, it was an easy decision to provide funding for the continued growth of their operation. Paul Athey and the rest of the Mohegan Sun team agree. With a fresh tune up and more runs than literally any of their competitors at new England Dragway, host of the up coming Amalie Oil North American Nationals, this local team is ready to score some big points. “We are going to be fighting against the best Pro Mod cars in the business at the North American Nationals,” said Athey. That fight may have gotten a little bit easier due to the addition of Sterling Homes to the roster of supporters for the 2006 campaign. We’ve said it before, but it is the truth. No matter what your position is, never bet against the house (literally! ), because you will probably get burned. (9-4-2006) - Top Fuel racer Doug Herbert confirmed that he's filed criminal charges against his former crewchief Wayne Dupuy. (9-4-2006) - Last weekend’s IHRA World Nationals (hard to believe, with all that’s been going, on that it was just a week ago) featured a scheduled Funny Car finale between Gary Densham and Scott Kalitta, but the race never came off. When Sunday’s final rounds were rained out the competitors returned to settle things Monday morning, but Densham and Kalitta failed to appear, forcing the association to simply list things as uncontested. Torco’s Competitionplus.com caught up with the protagonists at Indy to ask them what happened. DENSHAM: Basically it rained most of Sunday morning, but there was a window of opportunity to run the cars between about three o’clock and eight o’clock in the evening. They busted their butts, cleaned and dried the track and did everything they were supposed to do. They called us up into the lanes and ran the first two pair of cars. We were the third pair. I did my burnout, backed up and it was raining on the car. They shut us off, went back to the pits for about an hour while they dried the track, and we raced. ready to run again before they even ran the last pair of Top Fuel. It was nobody’s fault, that’s just the way it was. They finally finished Top Fuel and then we went up and ran the semifinals of Funny Car, and after that they got in the semifinals of Top Fuel about an hour or so later. Then they asked us to get in line for the finals. We got up there and waited for about 20 minutes while they ran some bracket cars, and then it rained again. Basically, it was just a combination of a bunch of stuff in so much that we were ruining a bunch of tires on almost every run, and Goodyear had already left. In the semifinals we ran with a six-run tire on one side of the car and a four-run tire on the other side. There was no way to buy any new tires because everyone was gone. I wanted to race because you get to win so seldom. It doesn’t matter where you’re racing, and I know some people think IHRA is a minor league compared to NHRA, but it’s not to us because it’s so hard to win anywhere these days. It’s good for me and good for the team’s morale to win anywhere. They were looking forward to being in the winners circle and getting their pictures taken, while I was trying to rationalize that splitting the money would probably be the best thing for everyone, and I also didn’t want to make an enemy out of Conrad, so I said, If that works for you, Connie, I’ll go along with it, but in the back of my mind I really didn’t think IHRA would agree, and yet the weather forecast said it was going to rain for 40 days and 40 nights. I figured Connie would go up there and they’d tell him to go pound sand, that we were going to run the final and that’s the way it was going to be. I was more shocked than anyone when he came back and said Here’s your check for half the money. It had no affect on the points because I can’t catch Dale Creasy for the title. They way the IHRA points structure is, they give bonuses for competing in every race, and I haven’t done that, so it had no bearing on the points. I think they have a great program and it’s going to do nothing but get better. Who knows, for all I know Schumacher might have four cars over there and Force might have four cars over there, too just so they can have eight teams! I’d like t thank Even Knoll for putting up the money and giving us good places to race. It’s a lot better than it was over there before. IHRA treats the racers really great over there, and I’m extremely pleased to be part of it over there, even if it isn’t full time. CONNIE KALITTA – TEAM OWNER/SCOTT KALITTA F/C: This car (indicating the Toyota) had a broken front end on it, and they were forecasting rain for Monday. In fact, after Hillary (Will) ran in the Top Fuel final it rained and killed the rest of the day. What we saw Sunday night was that we weren’t going to see the finale. We split the money because IHRA was all right because neither one of them, Densham or Scott are not in the points chase. It didn’t compromise anything in reality. I was a little perturbed about the whole thing. We sat there in line for a long time. Gary was in line, too. I went up to the starting line and told them both cars were ready, should we put the drivers in, and the official said no, that they knew up in the tower that we were ready. They were still running doorslammers. It was a poor business decision on their parts not o get the pros out of the way. That’s what they should have done. arrangement was. I’m assuming they split winner and runner-up money. For me the difficult part was the return of Nitro Funny Cars to IHRA, and the fact that it was obviously going to be our last IHRA race, and we weren’t able t put anybody into the winners circle seemed a little odd to me. (9-3-2006) - John Force raced to the $100,000 Skoal Showdown victory Sunday at O'Reilly Raceway Park. It was Force's sixth career win in the special bonus race for the top eight Funny Car qualifiers from the last 12 months. Force also was the No. 1 qualifier in his category at the $2.6 million Mac Tools U.S. Nationals, the world's most prestigious drag race. Tony Schumacher, Greg Anderson, and Matt Smith also were No. 1 qualifiers in their respective categories at the 18th of 23 events in the $50 million NHRA POWERade Drag Racing Series. WANT MORE INDY INSIDER INFO? (9-3-2006) - When your name is Jon Asher, you get your own notebook at the NHRA U.S. Nationals. (9-3-2006) - "Flash Gordon" Mineo, one of the most prolific Funny Car match racers from the late 1960s through 1980, was killed in a boating accident Sept. 2 that also claimed the lives of his wife, Ann, his daughter and her husband, and another boater. The Mineos, along with Amy Dawn Lane and her husband Justin, were in one boat taking part in a “poker run” race on Lake Texoma in Willis, Okla., when their boat collided with another driven by a Tennessee couple. Myra L. Gibson was also killed in the accident and her husband Bruce hospitalized. (9-2-2006) - Pro Stock Motorcycle champion Andrew Hines claimed the largest payout in class history by winning the $25,000 top prize in the Ringers Gloves Pro Bike Battle Saturday at O'Reilly Raceway Park at Indianapolis. The special race within a race bonus event highlighted a spectacular day of qualifying for the 52nd annual Mac Tools U.S. Nationals, the $2.6 million showcase event in the NHRA POWERade Drag Racing Series. Tony Schumacher (Top Fuel), John Force (Funny Car), Greg Anderson (Pro Stock), and Matt Smith (Pro Stock Motorcycle) are the provisional No. 1 qualifiers at the event, the 18th of 23 on the tour. (9-3-2006) - Continuing our unofficial canvas of the drivers regarding the new points system for 2007, we again asked the same question as was put forth yesterday: What’s your opinion of the points system change for next year? WHIT BAZEMORE – MATCO TOOLS FUNNY CAR DRIVER/DON SCHUMACHER RACING: I think it’s interesting. I think it’s got potential and the reasoning behind it is valid. Obviously, it’s going to be a more contrived championship. What concerns me as a competitor is that if you make it to the Final Four, if you have bad luck you’re pretty much done. There’s absolutely no margin for error. Throughout history the championships have always been won by the best team, and this new system could change that. It certainly opens the door to a team winning it that’s not necessarily the best over the course of the year. Is that fair, unfair, good or bad? That remains to be seen. I think (NHRA) is trying to give the fans something very exciting and the media more to talk about, and I think it might work for that, but is an absolutely fair championship? That’s hard to say, but it opens the door for other scenarios other than the best team winning. COMPPLUS: What’s our Plan for next year? BAZEMORE: My plan right now is that I don’t have a plan set in stone. There are some opportunities (for me). I think that obviously, with Matco going to David Powers they’re interested in having me there, but I don’t have a deal yet. COMPPLUS: Let’s back up. Is it Matco that wants you there, or Powers that wants you there, or both? BAZEMORE: I would assume both. I think all parties are interested in having me there, but I’m not there yet. I’ve had a very good six years with Don (Schumacher), and I don’t think that it would be completely fair of me to just bolt right away. If Don is interested in retaining me I’d like to give him some time to find the financing for this car, but how much time that is I don’t know. LARRY DIXON – TOP FUEL DRIVER/DON PRUDHOMME RACING Honestly, it really doesn’t matter to me. I think it’s more important what other people think, like the fans, the sponsors and the media. I’m going to go into every race and try to win that race. If I have the best car in the pit area, I’m still going to win every week. If they take all my points away and we start over, I’ll win again. If you’ve got the best car on the block, it shouldn’t make any difference. If (the new system) makes it more exciting and puts more fans in the stands and id doubles or triples the TV ratings and brings more sponsors into our sport, then I think it’s a great plan. COMPPLUS: What’s your plan for nest year, and how soon do you expect to have a sponsor? DIXON: I am very out of the loop on that. I’m racing and driving, and I know they’re working very hard on getting something. I know they were looking to make an announcement here at Indy, but it’s not that together, I guess, so I’m sure they’ll make an announcement as soon as they can. We’re planning on keeping the team in tact. It’ll be a different color, and we’ll keep racing next year. TOMMY JOHNSON, JR – SKOAL FUNNY CAR DRIVER/PRUDHOMME RACING: I knew you were going to ask me that! I see pros and cons of both systems. I see that with the old system if someone runs away with it it’s very anticlimactic because you’re crowning a champion early in the season. With the new system I like the drama at the conclusion. I see negatives in that you can be put out of the points chase very easy at the end of the year, but in my personal opinion, using this year as an example, that would be a great opportunity for a team like ours. We’re running really well at this point in the season, and we’re sixth in the points. We’re kinda outa sight of the championship, but this would put us right back in the hunt. It would be a dog fight with a really tough car at the end of the season. Marketing wise I think it’s great for the sport because it’ll keep people excited until the end of the season. I am a little concerned with the cut to four cars with just two races left. That’s a tremendous amount of pressure on four teams to not make a single mistake. It’s kinda like you’re running the whole season for just two races. You’ll have to be perfect in those two races, and that’s a lot of pressure on these teams, and with these cars a lot of little things could go wrong and ruin your whole season. That would be unfortunate. It would be terrible. I guess my view is that no matter what kind of points system they have, you still have to go out and win the thing. Whatever they give us, we gotta win it. Right now this team is as solid as its ever been, so we’re nt going to change a thing for next year. We questioned a member of the sponsorship community, who requested anonymity before he’d answer the same basic question, although it was posed from the perspective of a major sponsor, which this individual represents: My initial thought, and you usually go with your initial feelings – and I haven’t thoroughly studied the plan – is that the Funny Car class could easily come down to four John Force cars at the end. As a sponsor. For Castrol that would e okay, and for John Force that would be okay. For an independent team or anyone else it wouldn’t be okay. I don’t know if it will drive excitement or not. COMPPLUS: Do you think that you, as a sponsor, could be ignored if your car failed to qualify for the Elite Eight or the Final Four? SPONSOR: Oh, I think you’ve already seen that in NASCAR, with the Chase. Everyone’s looking, okay, here’s the 10 cars. After that the only car that gets any attention is the car that wins the race if he’s out of the Top 10. Over there they have 43 cars on the track at the same time, but absolutely, I don’t think it’s of value at that point if your car is not among that Top 10 (for the Chase). TONY SCHUMACHER – TWO-TIME POWERADE TOP FUEL CHAMPION/U.S. ARMY-DON SCHUMACHER RACING: Well, I think if you ask the guys who win the world championship they’re not going to like it. Just common sense will tell you that. I’ve locked (the title) up in Reading and in Las Vegas early on, and I’d hate to win 15 races in a season and still have it come down the point where you don’t even have to win, you just have to average a little better than the next guy, and we’re going to call you the world champion. I’m not sure that’s right. Years ago “Ace” McCulloch won seven out of nine races, but you had to go to Amarillo to win the world championship, and Gene Snow won at Amarillo with “Ace” the runner-up, and he’s not the world champion? Haven’t we proved that that didn’t work years ago? I guess it evens it out for the rest of the guys. Overall I guess the majority of the guys would like it, but for me it ain’t gonna help this Army team in any way, shape or form. JIM DUNN – LUCAS OIL FUNNY CAR TEAM OWNER; I think it’s great if you’re an idiot. I don’t like it ‘cause it just helps the big guys. If you don’t have at least a $2 million budget you’ll never be in the top eight. Like I told Mr. Compton, You’re telling me that if we go to the top four, and Force qualifies first and (Robert) Hight qualifies fourth that Hight’s not going to lay down (for Force)? If he doesn’t, they’re stupid, because if he qualifies Number 1 that’ll give him one more point than the two Schumacher cars that might be in there. You could be runner-up and win the deal. Now it makes the whole team very important. COMPPLUS: What’s your plan for nest year? DUNN: Tryng to stay alive! COMPPLUS: Is Lucas Oil on board for next year? DUNN: Yeah, I believe so. COMPPLUS: What about your driver situation? DUNN: Probably the same one (Tony Bartone). Budweiser brand may have played a prominent role in the decision making. Far from being dormant on the sidelines, Coughlin has been actively campaigning this season in a variety of cars, and did double duty at the U.S. Nationals with another appearance in the Hemi Challenge while also racing in Competition Eliminator. 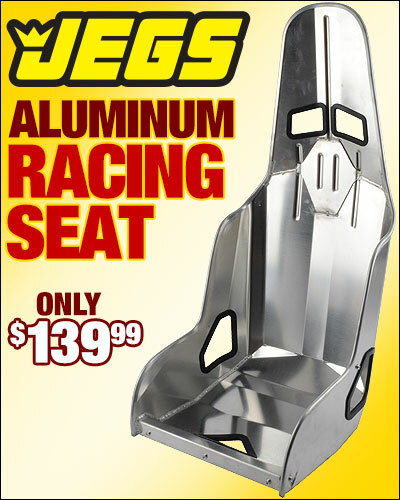 More than just a marketing partnership between Coughlin and Cagnazzi, the Jeg’s Mail Order operation is going to handle the complete line of Slammers products because of their almost limitless shelf life, meaning that everyone involved will be able to effectively track product sales, something few sponsorship programs are really able to do. 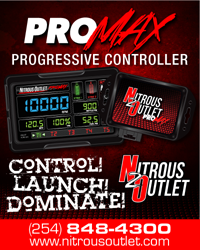 COMPPLUS: What made you decide to come back to Pro Stock? early one that that probably wasn’t going to pan out long term. car as opposed to what crew chief Bob Glidden wanted to do? was the car just didn’t perform the way they wanted it to perform, and as they “advertised,” so it wasn’t a case of Bob-this, or Don-that, it just wasn’t right for me. even though was all over the chat rooms and stuff. I thought my dad showed a lot of courage to come in and work in that environment and work on that car and then stick around to work on them during a race. That was about the time that I decided that with everything that was happening that it wasn’t the place for me. Don was very well aware of how I felt, and so was Bob. It wasn’t any one thing in particular. COMPPLUS: Let’s talk about the Slammers program a little. How did this all come about? involvement now. That’s the way it’s worked out. COMPPLUS: So this team is going to be under Victor’s umbrella? COMPLUS: Tell us about your marketing plan for Slammers. COMPPLUS: How much product do you think you can move for them? days or less, so that’s another great deal. COUGHLIN: If it’s not on there tonight I’d be surprised! COMPPLUS: Who’s going to be your crew chief on the car. cars going to be run, so they’ll probably need some new talent there. COMPPLUS: Is Tom Lee going to stay in the other car? COUGHLIN: I haven’t heard any differently, so I would have to say yes. in Pro Stock, or is he happy with what he’s doing? whole program. The motors are making good power, and it looks awesome. do you feel about the race moving to Norwalk Raceway Park? itself, so it’s probably a good move, and we’re behind that. thing I thought of was what happened in NASCAR when some of the biggest sponsors in the sport didn’t have their cars make the Chase for the Cup, and I watch NASCAR all the time, even if I have to watch it on TiVo because I’m a big NASCAR fan. I think that it did fix NASCAR in some eyes, as far as the fans ‘cause it made it really exciting for them. I was really disappointed that Jeff Gordon and Junior (Dale Earnhardt, Jr.) didn’t make the Chase last year, but it looks like they’re going to be in it this time. But our team has typically finished in the top eight every year no matter what, and I don’t think that’s going to change, so it’ll probably be good for us. Our sport needs this excitement right now, and it needs competitionplus and everyone else talking about this because we’re pretty stuck in a rut, and this is going to help us get up on the surface to where people will be talking about us. I’m ready to adapt, and it could be really exciting and I’m looking forward to it. LARRY MORGAN – PRO STOCK OWNER/DRIVER: Actually, I haven’t had a chance to really study it completely, but I’m sure it’s a typical NHRA deal where they don’t communicate with anyone but themselves, but from what I’ve seen and heard, it’s pathetic. I just don’t know, and until I look at it thoroughly I really can’t comment on it. COMPPLUS: What’s your plan of attack for this weekend? MORGAN: I plan on winning this race, that’s what I plan on doing. had career years and don’t make that final cut. COMPPLUS: What was the driver attitude during the PRO meeting? many problems with going to final 8, but a lot of guys had a real problem with cutting it down to four cars with two races left. That seemed to be the general consensus. COMPPLUS: Were you consulted as a PRO board member, or was your opinion on this sought by anyone at NHRA prior to the announcement. PAWUK: I’d rather not comment on that. a little better deal to decide the world champions. but unfortunately, we don’t have 499 laps to make up for an error. they can think, which they obviously can’t. COMPPLUS: So, you weren’t one of the racers consulted about this? I say. This is NHRA and it’s their game. is extremely wrong is that last cut, going from eight to four cars. then gone into a slump and lost the title. On the other side of it, you can’t turn ESPN on within them talking about Is Dale, Jr,. going to make (the Chase for the Cup), or is Jeff Gordon going to make the Chase. There are pros and cons, but the most part I think the way it is was pretty good. COMPPLUS: Are you going to be able to maintain your points lead and win the IHRA championship again? understand the position we’re in. I think it’s going to be fun. to the final round of the final race. biggest change you’ve seen between last year and this? COMPPLUS: Do you think the inclusion of Nitro Funny Cars has helped IHRA? the Funny Cars. I think it was a great addition. have two races to do it in. COMPPLUS: Did you know about this in advance; were you consulted as a PRO Board member? SCHUMACHER: No, I was not. (9-1-2006) - Torco's CompetitionPlus.com has learned from reliable sources that Don Schumacher Racing has parted ways with Matco Tools as a major sponsor for 2007. The company will likely remain with DSR as an associate sponsor but that is not final. (9-1-2006) - Three-time NHRA champion Jeg Coughlin Jr. announced Friday he will return to the POWERade Drag Racing Series full-time in 2007 behind the wheel of a second Slammers Ultimate Milk Chevrolet Cobalt. Coughlin, a 47-time national event winner, will be driving for Victor Cagnazzi. "Our goal is to win championships," said the 36-year-old Coughlin, who won Pro Stock titles in 2000 and 2002. "We strongly feel we are capable of doing just that and I couldn't be more excited. Victor is a great guy, he's running a top-notch organization, and the talent he's assembled is second-to-none. I'm proud to become a member of the Slammer's Ultimate Milk Team. "I've worked with a couple of his guys (Roy Simmons and Nick Ferri) in the past and I certainly know (chassis builder) Todd Bevis and (engine builders) Joe Hornick and Steve Johns. We've all seen what they've done with their cars and their current success with Evan Knoll's Torco Fuels/Skull Gear car driven by Dave Connolly. It's obvious they can put a competitive car on the racetrack." "We couldn't be more excited to have a person like Jeg to represent Slammers Ultimate Milk," said Bravo! Foods Internationals CEO Roy Warren. "Slammers is 'Milk With An Attitude' and Jeg has a great winning attitude both on and off the track." After running under the family's JEGS Mail Order umbrella for most of his career, Coughlin spent the 2005 season driving for Don Schumacher Racing, which was highlighted by a race win at the season finale in Pomona, Calif. Coughlin took this year off from Pro Stock but still managed to win several high-dollar bracket races around the country. He'll begin testing a custom-built Cagnazzi Cobalt next week at Virginia Motorsports Park. "I got fitted for the car a few months ago and it's ready to run," Coughlin said. "We plan to test prior to running the last three national events this year in Richmond (Va.), Las Vegas, and Pomona. "We've actually been talking about doing this for some time. I've been racer friends with Victor since the early '90s when he was the first guy I knew of to use his RacePak computer system with a laptop. I wanted to learn how to do that so I went to him then. We've been friends ever since. "Victor knew I was taking a year off so it gave us time to put a deal together. Slammers and Bravo are having a record year and they attribute a significant portion of that to their racing program. The thought was that two cars will be better than one. I'm excited to enhance what they already have." Coughlin said his family's company will be offering Slammers Ultimate Milk products through JEGS Mail Order's 1-800-345-4545 phone number and JEGS.com. The system Slammers has to sterilize and bottle their product allows this milk to be stored and shipped without refrigeration through the JEGS distribution network. Customers will now be able to order a twelve-pack and have it in their hands within two days. "We're excited about the partnership and I know the associates at JEGS will be happy," Coughlin said. "They like to watch us run on ESPN2 and do well. "I've met with Roy Warren, Mike Edwards, Ben Patipa, and many others and I really like the family feel in their organization. I think that's a crucial element when you're going to spend as much time together as it takes to run this tour. Both Victor and Roy are solid guys and we've all gotten along so well throughout this process. It's been very exciting. "The next step is to get up and running and get these two Slammers Ultimate Milk Cobalts in the winner's circle as often as possible." (9-1-2006) – He’s well-known throughout the motorsports community. He holds the unique distinction of being the only race team owner to have collected wins in each of Americas’ three major motorsports series – NHRA drag racing, NASCAR and IndyCar racing. There’s hardly a major NHRA award he hasn’t won, and most he’s won in multiples, but he’s decided his collection is a little short. Six-time NHRA champion Kenny Bernstein announced today that he will partner with Monster Energy drinks to “Unleash the Beast” to stage a 2007 comeback tour in the Funny Car category. Bernstein, who is famous for building Budweiser brand identity in the motorsports community will now attack Monster Energy brand-building with the same zeal. “NHRA drag racing will provide a tremendous amount of exposure for Monster,” said Bernstein. “Monster does have a common ground and cross-over with Anheuser-Busch because Monster is distributed by many Anheuser-Busch wholesalers. It was a natural fit. We have a multi-year commitment and we will work in every market we visit along the way to try to increase Monster sales, using the same business philosophy my father taught me at a young age, the principles I’ve used through the years. “Plus Monster aligns itself with extreme sports and there’s nothing more extreme in motorsports than a 7,000 horsepower nitro car. Bernstein will run the Monster Energy Funny Car operation under Kenny Bernstein Racing, Inc.
Second generation driver Brandon Bernstein is pleased about his father’s return to the cockpit. “Because we know how fast rumors spread,” said Kenny, “we wanted to take a proactive approach to go on record to announce our partnership with Monster Energy drinks. Bernstein, known for his lightning-quick reaction times, dominated the Funny Car category for much of the 1980s, winning four consecutive championships from 1985 through 1988. His last year behind the wheel of the Funny Car was 1989 before he switched to Top Fuel in 1990. Bernstein has amassed 69 career victories while driving for Budweiser, 30 in Funny Car and 39 in Top Fuel. Besides four Funny Car championships, he also accrued two Top Fuel championships, 1996 and 2001. After retiring at the end of the 2002 season, he came back to finish the 2003 season after Brandon suffered season-ending injuries in a first round crash May 18 in Englishtown, N.J. Kenny competed in 15 races that season, winning four of the last five events, scoring six semifinal appearances, and accumulating enough points to finish an unbelievable sixth in the final point standings that year. Bernstein climbs back into the cockpit of the Top Fuel car annually to make enough runs to keep his NHRA nitro license current. He has made his mark, but his expertise goes far beyond wins and losses. He is first and foremost a businessman and he is focused on helping to build awareness and sales for Monster Energy drinks and Budweiser. Monster Energy was launched in 2002 and in just three short years has become the number two brand in the exploding energy drink category. Monster Energy provides consumers seeking a boost of energy to fuel their active lifestyle with a proprietary blend of vitamins, herbs and amino acids that packs a vicious punch with a smooth flavor that’s easy to pound down. (9-1-2006) - In a press conference on Friday, Valvoline announced a marketing partnership with Don Schumacher Racing which will put the company's logo on all DSR entries. Valvoline has also renewed the sponsorship of David Powers Motorsports Top Fuel team and driver Rod Fuller. Ron Krisher's program will likewise be intact for next season. (9-1-2006) - Bob Gilbertson’s Autolite flopper is one of the freshest in the pits. Thursday afternoon saw co crew chief Tommy Delago and a couple of crew members just down the road from ORP at Indy Custom Shops where Carey Bewley’s team applied the flashy new Jungle Jim themed paint. The team were there to apply the minor sponsor and contingency decals to the car. (8-31-2006) - Shirley Muldowney, a three-time NHRA Top Fuel champion and drag racing icon, has certainly earned the right to speak her mind on the state of drag racing. She admits she's done her best to be supportive of the sport and those who make the decisions, but the NHRA's latest program which basically cuts the championship battle down to two races at the end of the season has her up on the tire. (8-31-2006) - Live Nation had the rights to first refusal of Bill Bader's 25% ownership in the company. All that Knoll needed to complete that purchase was the blessing of Live Nation and it came today. (8-30-2006) - With the talk of NHRA Pro Football player Duce Staley soon to field an NHRA Pro Stocker, yet another team has unvieled their NHRA connection. Morgan Lucas Racing will unveil a tribute to the construction and the 2008 grand opening of the Lucas Oil Stadium in the form of a special Mac Tools U.S. Nationals paint scheme. (8-30-2006) – The NHRA has followed the lead of NASCAR with a new multi-tiered “Countdown to the Championship” in all four professional categories of the NHRA POWERade Drag Racing Series which mimics NASCAR’s Nextel Cup Chase. This program will feature features three distinct periods during the 23-race NHRA POWERade Drag Racing Series when competitors will be eliminated from the championship hunt in a playoff-style format. In the “Countdown to Eight,” representing the first 17 races of the season, competitors in all four NHRA POWERade professional categories, Top Fuel, Funny Car, Pro Stock and Pro Stock Motorcycle, will battle each and every race to secure a position in the Top Eight in the points standings, with the final race to reach the “NHRA POWERade Countdown to the Championship” being the Toyo Tires NHRA Nationals at Maple Grove Raceway in Reading, Pa., Aug. 16-19. Once set, the “Countdown to Four” begins at the most prestigious drag racing event in the world, the Mac Tools U.S. Nationals at historic O’Reilly Raceway Park at Indianapolis, Labor Day weekend. The Top Eight in each category will have their points adjusted. First place in the standings will begin the countdown with 2,070 points; second place with 2,060 points and so on to eighth place starting with 2,000 points. The “Countdown to Four,” will consist of four races with the last race being the Torco Racing Fuels NHRA Nationals at Virginia Motorsports Park near Richmond, Va., Oct. 5-7. Following that race, the “Countdown to One” begins when the top four in each category have their points adjusted yet again. First place in the standings will begin the final two races with 3,030 points; second place with 3,020 points; third place with 3,010 points and fourth place with 3,000 points. The final two races of the season, the ACDelco Las Vegas NHRA Nationals, at The Strip at Las Vegas Motor Speedway, Oct. 18-24, followed by the season finale, the Automobile Club of Southern California NHRA Finals at Auto Club Raceway at Pomona, Nov. 1-4, will see the final four competitors battling it out for the NHRA POWERade Drag Racing World Championship. No team has ever come back from outside the Top Eight with six races remaining to win the NHRA POWERade Drag Racing Series World Championship under the current point system. “Traditionally, prior to the final six races of the season only a few teams still have had a shot at winning a POWERade World Championship. Under this new program, eight teams in each of the professional categories will have a legitimate chance to win,” said Compton. Beginning in 2007, the NHRA POWERade World Champion in Top Fuel and Funny Car will receive a $100,000 Countdown Bonus making the total payout to win the POWERade World Championship $500,000 in each category. In Pro Stock, the POWERade World Champion will receive a Countdown Bonus of $50,000, making the total payout $250,000 and, in Pro Stock Motorcycle, the Countdown Bonus will be $25,000, making the total payout $75,000 to win the POWERade World Championship. In addition to announcing the POWERade Countdown to the Championship, NHRA will increase the total year-end payouts for the Top Eight in the four professional categories to more than $2 million. The format at all 23 NHRA POWERade Drag Racing Series national events will remain the same and feature competitors in the professional categories qualifying for spots in the 16-car fields for Sunday’s elimination round. (8-30-2006) - NHRA announced its new 23-race NHRA POWERade Drag Racing Series schedule for 2007 Aug. 30. During the announcement, the world’s largest motorsports sanctioning body announced the addition of Norwalk Raceway Park, which sits between Cleveland and Toledo, Ohio, to the 2007 NHRA POWERade Drag Racing Series schedule. Also announced was the addition of a 16th event for the Pro Stock Motorcycle category, to take place at Texas Motorplex near Dallas. In all, six national events have been moved on the schedule. The series will continue to book-end the 23-race, 10-month season at Auto Club Raceway at Pomona in Southern California, officially kicking off the season Feb. 8-11 with the CARQUEST Auto Parts Winternationals and concluding the season and crowning the NHRA POWERade Series World Champions at the Automobile Club of Southern California NHRA Finals, Nov. 1-4. The schedule features only one stretch where the competitors are off for more than one week, that being between the Checker Schuck’s Kragen NHRA Nationals in Phoenix, Feb. 23-25, and the traditional East Coast opener, the ACDelco NHRA Gatornationals in Gainesville, Fla., which will be held March 15-18. Among the many changes to the 2007 NHRA POWERade Drag Racing Series schedule is the relocation of the Pontiac Performance NHRA Nationals from National Trail Raceway in Hebron, Ohio to Norwalk Raceway Park, one of the premier drag racing facilities in the country, June 28-July 1. Located near Cleveland, Ohio and not too far from the metropolitan markets of Toledo, Ohio and Detroit, Mich., the new summer race optimizes the 23-race schedule bringing the excitement of the NHRA POWERade Drag Racing to not only the entire state of Ohio, but residents of Southern Michigan. NHRA also announced significant changes to its schedule, moving the Summit Racing Equipment NHRA Southern Nationals at Atlanta Dragway to April 26-29, followed by the O’Reilly NHRA Midwest Nationals at Gateway International Raceway in St. Louis, May 4-6. The O’Reilly NHRA Thunder Valley Nationals at Bristol (Tenn.) Dragway, which traditionally held a late-April date, will move to May 18-20, while the NHRA Supernationals at Old Bridge Township Raceway Park in Englishtown, N.J., just outside New York City, will continue to run June 21-24. Another change to the schedule will be the move of the Toyo Tires NHRA Nationals at Maple Grove Raceway in Reading, Pa. to Aug. 16-19, which will be the last race to determine the Top Eight positions for the NHRA POWERade Countdown to the Championship. The O’Reilly NHRA Summer Nationals at Heartland Park Topeka (Kan.), will move off Memorial Day weekend to the following week, becoming a three-day event, June 1-3, followed by the NHRA Nationals at Route 66 Raceway, just south of Chicago. The world’s largest, most prestigious and longest running drag racing event, the 53rd annual Mac Tools U.S. Nationals, will be held once again on Labor Day weekend, Aug. 29 – Sept. 3 at O’Reilly Raceway Park at Indianapolis. The race, which already features two lucrative bonus events, the Skoal Showdown and Ringers Gloves NHRA Pro Bike Battle, will deliver further excitement as it will be the first race of the NHRA POWERade Countdown to the Championship. The O’Reilly NHRA Mid-South Nationals at Memphis (Tenn.) Motorsports Park, will move to be included as part of the NHRA POWERade Countdown to the Championship, Sept. 14-16. The final race to secure the top four teams remaining in the Countdown to the Championship will be the Torco Racing Fuels NHRA Nationals at Virginia Motorsports Park near Richmond, Va., Oct. 5-7. NHRA also announced that the Pro Stock Motorcycle class will add a 16th event to its current schedule, competing at the O’Reilly NHRA Fall Nationals at Texas Motorplex outside Dallas, Sept. 20-23. The Western Swing will remain in tact, beginning with the Mopar Mile-High Nationals at Bandimere Speedway near Denver, July 13-15, followed by the Schuck’s Auto Supply NHRA Nationals presented by Lucas Oil, July 20-22 at Pacific Raceways in Seattle and the FRAM-Autolite NHRA Nationals at Infineon Raceway, in Sonoma, Calif., July 27-29. The final two races of the season, the ACDelco Las Vegas NHRA Nationals at The Strip at Las Vegas Motor Speedway, Oct. 18-21, and the Automobile Club of Southern California NHRA Finals in Pomona, Calif., Nov. 1-4, will represent the Countdown to One in the drag racing world competing for the claim to the NHRA POWERade World Championship. Been away from your computer for a while ? Visit our News Archive .